If you’re even remotely interested in music and are from the United States, there’s simply no way that you haven’t heard about Taylor Guitars. Namely, this is one of the most impactful guitar manufacturers in the world, and certainly the number 1 brand in this sphere in the US of A. 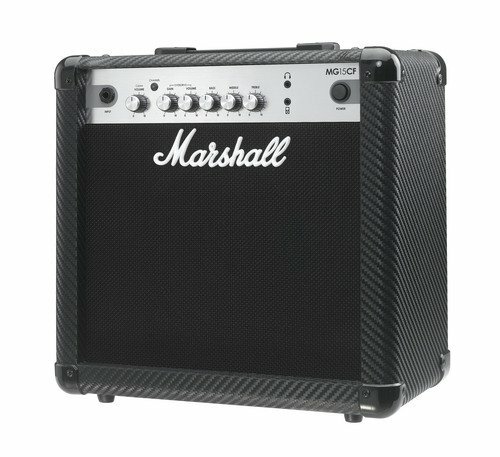 Essentially, this is not an old brand as, for instance, Fender or Marshall, but it’s been around for about 45 years, so it’s been doing the world of musicians a great service for nearly half a century. It was founded by Bob Taylor, but the story behind this particular moment is quite interesting, to say the very least. Namely, Bob Taylor worked for the ‘American Dream’ back in 1972. He was just an 18-year old kid who’s made some very important friends at the time, a certain Kurt Listug (co-founder) and Steve Schemmer. This trio bought off the American Dream in 1974, renaming it into WMC – it was renamed yet again shortly after due to the massiveness of the logo. 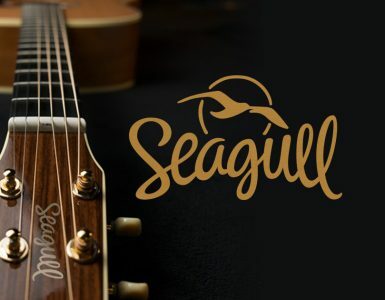 Currently, Taylor guitars are considered to be the latest letters as far as guitar manufacturing technology goes, but the downside is that their models are quite expensive. Nevertheless, if you’re looking for quality, this is a brand you want to turn to. What’s Taylor’s contribution to the guitar world? Without going too far into details, let’s briefly discuss this selection of features. The Sitka Spruce for top is an obvious choice when we’re talking about the balance of durability and tone. Both back and sides are made of Laminate Sapele materials – this particular tonewood enriches the overall sound with just a little bit of extra colorfulness. The neck is also made of Sapele (although not laminate-sapele this time around) which means that it’s pretty soft, which further means that you won’t have to worry about playability at all. Ebony fingerboard is as robust as can be, although it doesn’t impact the sound or playability in a crucial way (due to the Sapele’s unparalleled brightness). The first thing that you’ll notice about Taylor’s GS Mini sound is the volume. 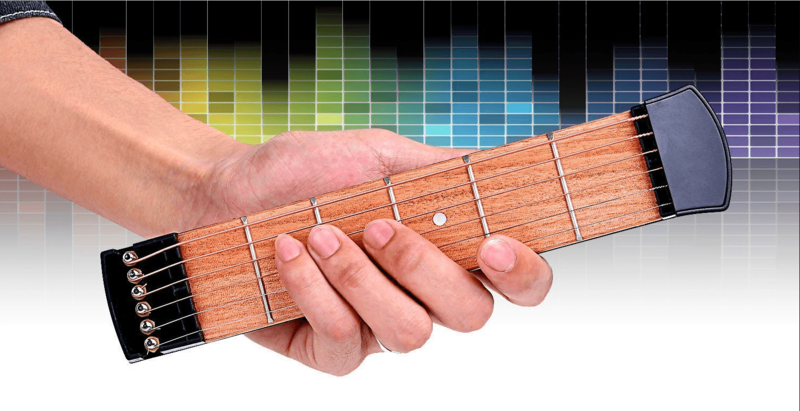 Namely, this is a miniature guitar – it has a smaller than average body, hence the resonating surface is smaller, the trajectory of the reverberations shorter. 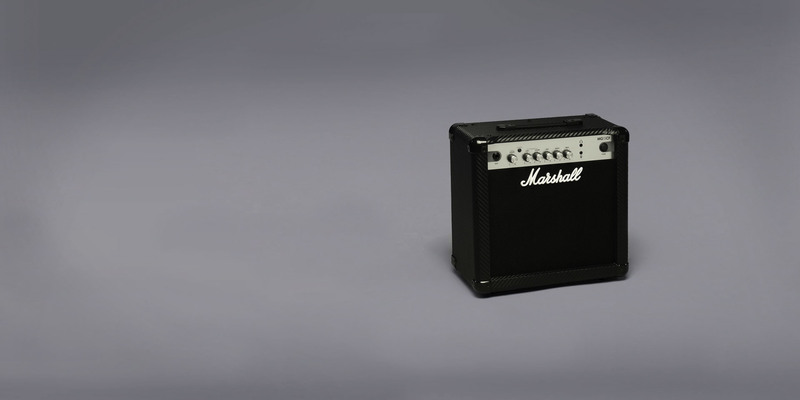 However, unlike most mini-sized guitars, the GS Mini doesn’t sound as petite, although its volume is certainly lower in comparison to full-sized Taylor guitars. 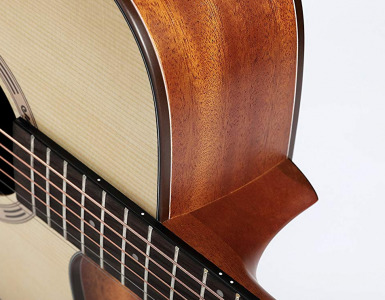 One thing that’s practically ‘responsible’ for the brightness of GS Mini’s tone is the Sapele-dominant construction. Namely, this particular tonewood colours the soundstage and works like a charm in both Mahogany and Walnut variants, Koa – not so much, but we’ll get there soon enough. Additionally, what would be portrayed as ‘overly pronounced warmth of GS Mini’ is ‘compensated for’ with its small size. It’s, in fact, not too warm or too bright due to its small body, and most guitarists would describe its sound as ‘balanced’. The mid-range is where this guitar excels the most, the lows are rather thin but present nonetheless, and, of course, you’ll enjoy in the highs unlike you’ve never heard before as far as ‘mini guitars’ are in question. Another great thing about the GS Mini is the sound consistency. Basically, it falls down to the perfect equilibrium of the tonewoods yet again – no matter how gentle or vehemently you pluck the strings, you’ll always get just about enough volume to go about. 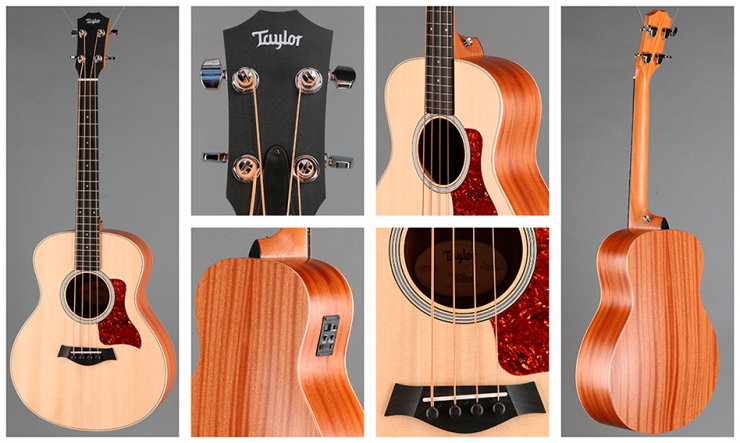 Now, Taylor’s GS Mini was built after another great model from Taylor – the Grand Symphony model. It’s, however, not as ‘miniature’ as one might expect, and the sheer reason why it’s got the name is probably the fact that it’s actually smaller than its ‘role model’. Even though we’ve already mentioned the most important tonewoods in the ‘sound’ section, it feels as though we’ve somewhat neglected the Spruce top and ebony fretboard, both of which play a major role in Taylor’s GS Mini design. Sitka spruce is commonly used in the manufacturing process of high-end guitars, and that’s exactly what GS Mini is. Furthermore, even some of the finest boutique-level guitars which claim to possess certain Ebony elements can’t even begin to compare to this one. The ebony fingerboard of this guitar somehow manages to feel remarkably soft and gentle while still being as robust as possible. The only explanation for such a wondrous compromise of ‘great and better’ is the ingenuity and skill of Taylor work staff. Although this might not appear as important as some other aspects of GS Mini’s design, it might be worthwhile to note that its body is a tad thinner when compared to most full-sized guitars. That means that it’s both comfortable and suitable for any set of hands; adult or children’s. 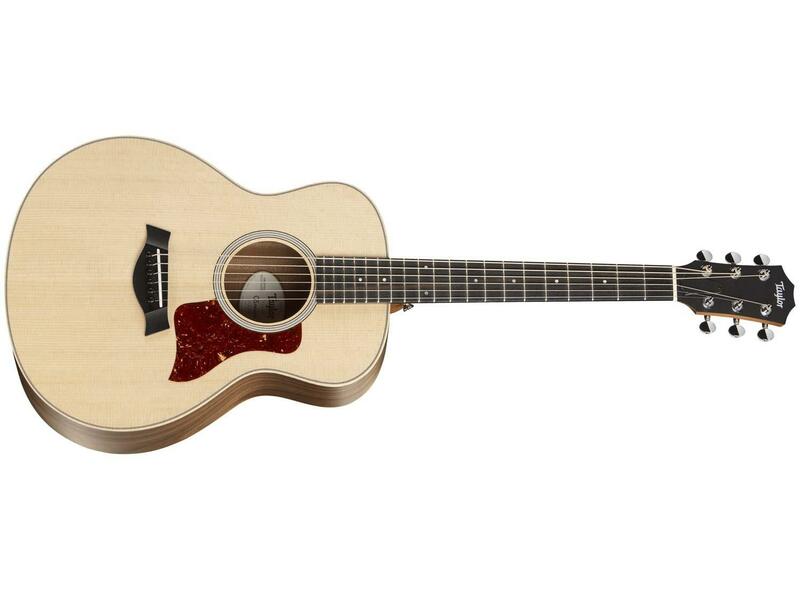 It’s widely known that Taylor guitars are among the most ‘playable’ ones out there, and GS Mini is not an exception. Initially, this guitar has a slightly lower action than normal, which means that pressing on the frets is rather easy. 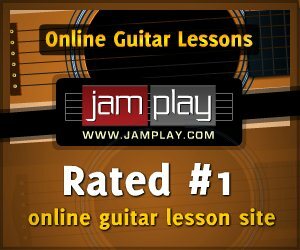 This is a good thing for both pros and beginner guitarists for various reasons – beginners can focus on both hands simultaneously and pros can grip chords and play along the scales in a plain fashion. Now, about the ‘slightly below average’ action – it’s still not low per se. Extremely low action often results in annoying buzzing sounds, not to mention that it impacts the intonation a lot. On another hand, extremely high action means that more effort is needed to actually play the guitar. GS Mini offers a great compromise between these two extremes. Although this guitar is not a semi-acoustic by default, you’re given an opportunity to make it if that is what you want. Basically, you have two options at your disposal. 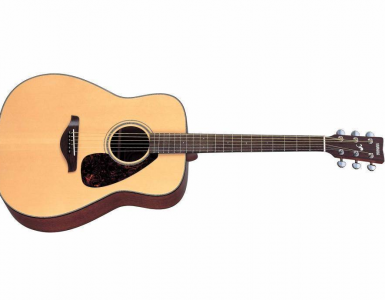 Firstly, you can go with the ES-Go pickup which goes right at the soundhole. It should be positioned in a rather peculiar way so that it doesn’t touch the guitar’s top – this way, it will yield stronger reverberations. Secondly, you can use the so-called V-cable. Essentially, this way very reminiscent of the way regular electric guitars are ‘wired’. Essentially, the GS Mini comes in three variants – Walnut, Mahogany, and Koa, all of which are based around the body type whereas the bulk of the other build materials remain the same. 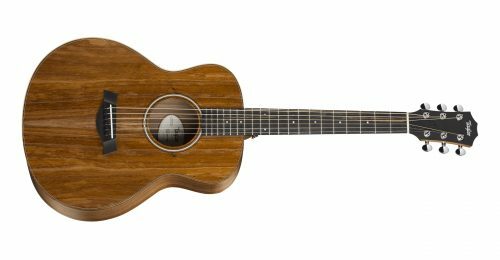 First of all, let’s discuss the Taylor GS Mini Walnut. 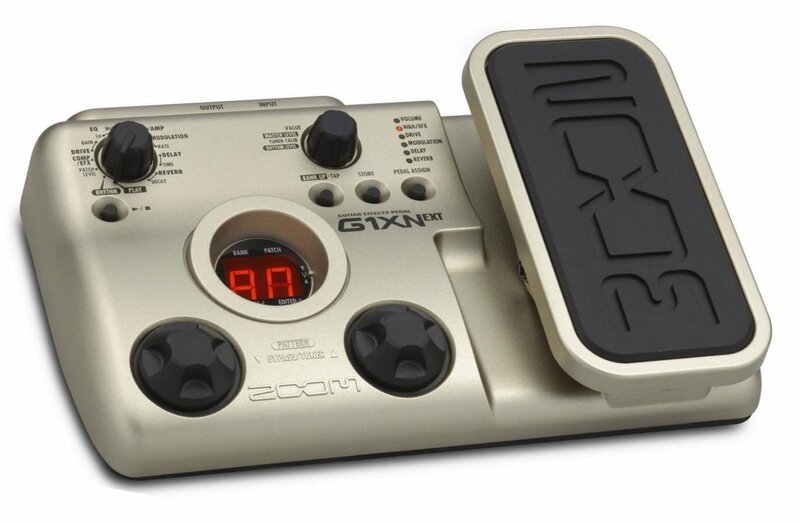 It’s, perhaps, the most classy looking variant of the GS Mini, sporting a straightforward outlook and retaining its powerful sound without impeding upon the durability or playability. Just like Sapele, Walnut also provides a rich tone, although it does ‘darken up’ the lows a bit in certain aspects. Though GS Mini costs quite a lot, this variant is best for beginners if you don’t like the ‘Koa’ version. Taylor GS Mini Mahogany is, without any doubt, the most beautiful variation of the GS Mini, although the price of beauty is paid here with a drop in tone of sorts. Namely, Mahogany also packs quite a punch tone-wise, but its sound appears a bit dryer in comparison to other variations. Lastly, let’s talk about Taylor GS Mini Koa. 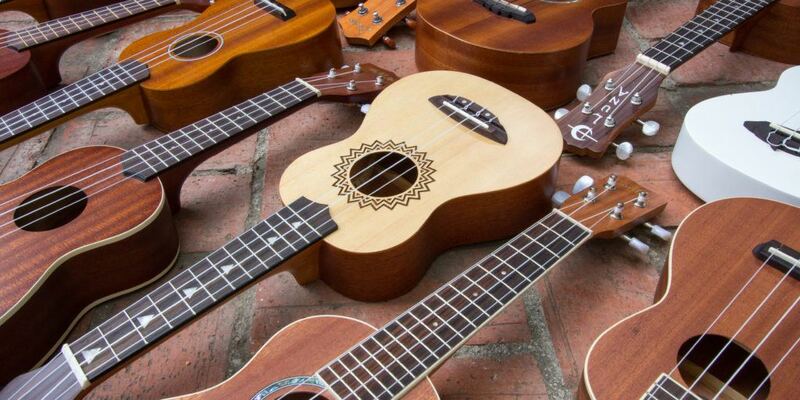 For some of you who might not know this, Koa is actually a type of material commonly used in the manufacturing of ukuleles. It’s not the sturdiest material out there, but it’s warm and generally sounds pretty great. Before we close the curtain down, let’s answer one of the simplest questions regarding Taylor’s GS Mini – is it worth the buck? This guitar certainly costs an arm, and perhaps even a leg (or both), but the final answer would undoubtedly be – yes, it does a good bang for the buck. With a powerful sound, a sturdy body, and three body-type materials to choose from, this is a perfect pick for you, regardless of your skill level. 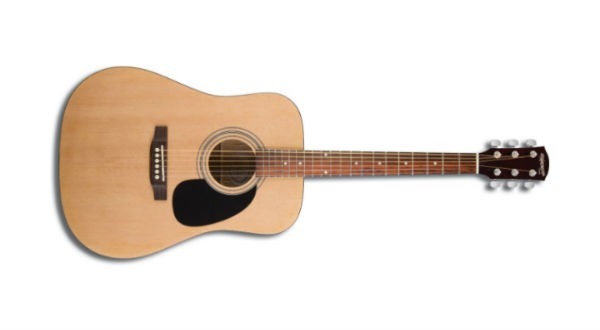 For further reading, you might be interested in our list of 10 best acoustic guitars. Have a good one!